Even before the 2015 Grammy nominations were announced, a search for the #Grammys hashtag on Twitter yielded hundreds of tweets pretty much all centered on one theme: One Direction. 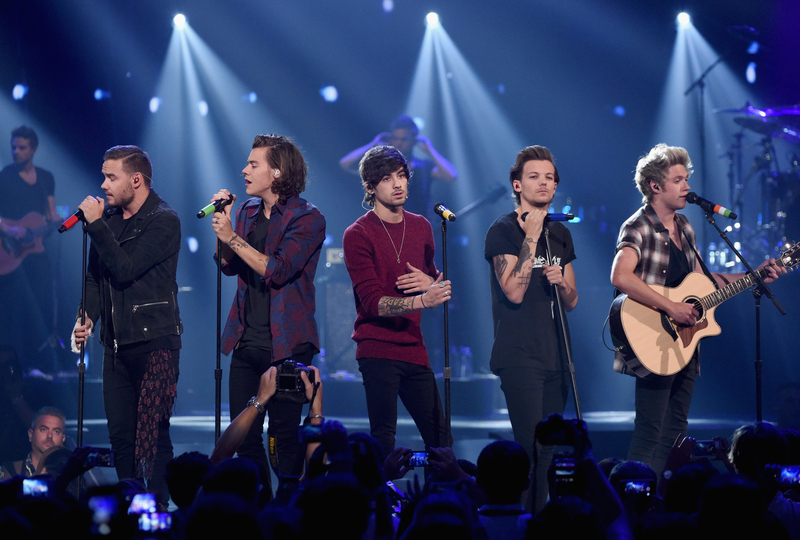 Prior to the announcement of the first categories on CBS' The Early Show, fans of the boy band behind "Story of My Life" and "Steal My Girl" showed their massive support for Harry Styles & Co., demanding One Direction score a nomination following their release of 2014's Four. But, after the initial nominations were announced, Twitter proved that hell hath no fury like a One Direction fan scorned, because as of right now, Styles, Niall Horan, Zain Malik, Liam Payne, and Louis Tomlinson have yet to be nominated for a Grammy. GASP. Though those who have despised boy bands since *NSYNC reared their bleached heads would be happy to see the Grammys shun One Direction, it would be a bit surprising to see the band go home without a nomination. After all, the Grammys typically rewards chart-toppers on an annual basis, eschewing independent and smaller bands for their top categories for those who make tabloid headlines every day. And considering One Direction makes plenty of headlines, they seemed all but a lock for a trophy, let alone consideration for a trophy. But, still, as of when this article was published, One Direction has gone ignored. That's not to say they won't pick up a Grammy nod, though. This year, the awards show has decided to roll out its nominations throughout the day Friday, instead of releasing them all at once. And One Direction has plenty of chances — unlike other awards shows, the Grammys has dozens of categories, and even adds new categories on a regular basis. So there's still time for One Direction to get a nomination from the Grammys. ...they've now decided they don't even want their favorite band associated with the awards show. Though it's unclear as of now whether or not Styles and the boys will lock in a nomination, one thing's for sure: Until we find out, One Direction fans will demand an explanation.